Ultraframe, the UK’s leading designer and manufacturer of home improvement solutions which transform light and space around the home, is in high spirits after taking home the prestigious Climate Change Adaptation Award at the 2011 Lancashire Business Environment Awards. The Awards, which are in their 15th year, are designed to showcase the very best of Lancashire’s environmentally conscious businesses and are hosted by the Environmental charity, Groundwork Pennine Lancashire. Sponsored by The Environment Agency, the Climate Change Adaptation Award is presented to companies that recognise the impact climate change is having and are taking steps to adapt to extreme weather conditions. In its submission, Ultraframe detailed its thorough plan for dealing with localised flooding as well as the features of its innovative Utopia eco roof, the most thermally efficient glazed roof on the market. Ultraframe’s Utopia is a new style of double layered conservatory roof technology which has been designed to dramatically improve a roof’s U-value and extend the use of a conservatory to 365 days a year. 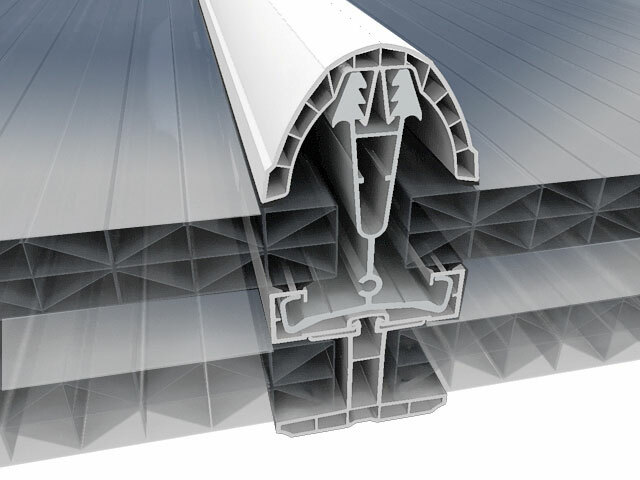 Utilising fully thermally broken integrated support extrusions, the eco roof features two layers of polycarbonate, 35mm Heat Guard Opal externally and 32mm Opal internally, along with an internal chambered ‘T’ cladding and a chambered ridge undercladding. The first glazed ecoroof of its kind, the centre pane U-value of the two sheets of polycarbonate is just 0.6, producing a conservatory roof that requires only 788kWh of heating energy a year, 1300kWh less than the average and saving the average household at least £200 on heating their conservatory.